Many factors in the delivery and perinatal care of infants with a prenatal diagnosis of congenital heart disease (CHD) have an impact on outcome and costs. This study sought to determine the modifiable factors in perinatal management that have an impact on postnatal resource use for infants with CHD. The medical records of infants with prenatally diagnosed CHD (August 2006–December 2011) who underwent cardiac surgery before discharge were reviewed. The exclusion criteria ruled out prematurity and intervention or transplantation evaluation before surgery. Clinical characteristics, outcomes, and cost data were collected. Multivariate linear regression models were used to determine the impact of perinatal decisions on hospitalization cost and surrogates of resource use after adjustment for demographic and other risk factors. For the 126 patients who met the study criteria, the median hospital stay was 22 days (range 4–122 days), and the median inflation-adjusted total hospital cost was $107,357 (range $9,746–602,320). The initial admission to the neonatal versus the cardiac intensive care unit (NICU vs. CICU) was independently associated with a 19 % longer hospital stay, a 26 % longer ICU stay, and 47 % more mechanical ventilation days after adjustment for Risk Adjustment for Congenital Heart Surgery, version 1 score, gestation age, genetic abnormality, birth weight, mode of delivery, and postsurgical complications. Weekend versus weekday delivery was not associated with hospital cost or length of hospital stay. 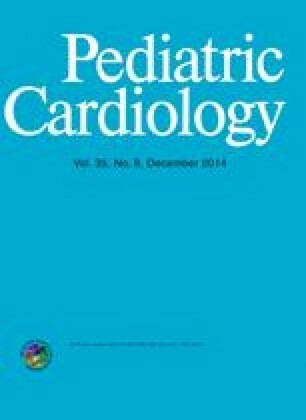 For term infants with prenatally diagnosed CHD undergoing surgery before discharge, preoperative admission to the NICU (vs. the CICU) resulted in a longer hospital stay and greater intensive care use. Prenatal planning for infants with CHD should consider the initial place of admission as a modifiable factor for potential lowering of resource use. This investigation was supported by the University of Utah Study Design and Biostatistics Center, with funding in part from the National Center for Research Resources and the National Center for Advancing Translational Sciences, National Institutes of Health, through Grant 8UL1TR000105 (formerly UL1RR025764).